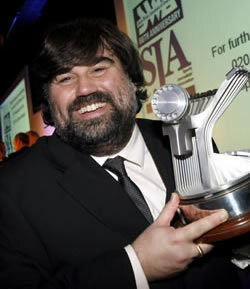 In front of a record audience of more than 400 journalists at The Brewery on March 17, the Sports Journalists’ Association began its 60th anniversary year celebrations by establishing a “first”, with Martin Samuel, of The Times, becoming the first in the history of the British Sports Journalism Awards to win the Sports Writer of the Year accolade for a third consecutive year. Sir Michael Parkinson, the President of the SJA, presents the SJA British Sports Photographer of the Year trophy to PA Sport’s Gareth Copley. 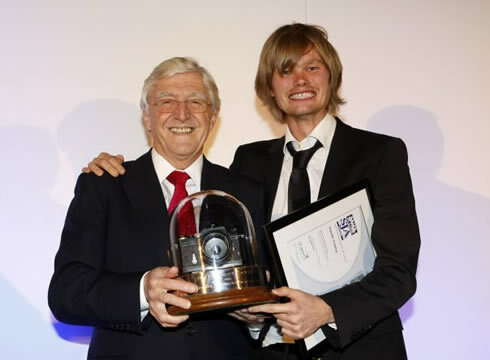 Samuel, winner in 2005 and 2006, again received the John Bromley Trophy from the SJA President Sir Michael Parkinson at the ceremony in London, which was generously supported by BT Vision and UK Sport. The 2007 SJA Sports Photographer of the Year prize was won by the Press Association’s Gareth Copley. Runner-up was Paul Hayward of the Daily Mail, with Oliver Holt of the Daily Mirror third. 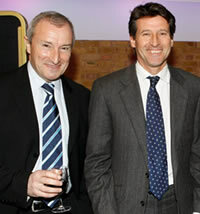 Holt was named joint winner of the Sports Columnist award, together with Simon Barnes of The Times. Carl Recine of Action Images won the Sports Picture of the Year. The News of the World’s breaking of the “Fredalo” story involving England cricketer Andrew Flintoff earned David Norrie the Sports Story of the Year award, while Paul Kimmage of the Sunday Times retained the Sports Interviewer crown for the fourth consecutive year. Regional Sports Writer of the Year is Mike Aitken of The Scotsman, with Jon Colman of the Cumberland News highly commended. This year saw the introduction of two new awards. 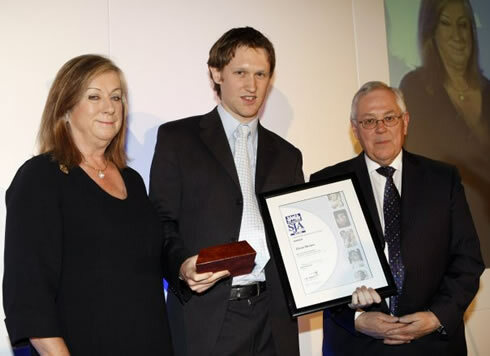 The Internet Sports Writer was won by Matt Slater of bbc.co.uk, while Oliver Brown, of the Daily Telegraph, is the first winner of the SJA’s Young Sports Writer of the Year Award – Brown receiving the Ian Wooldridge Trophy – named after the former Daily Mail columnist who died last year – from Sarah Wooldridge, the widow of the multiple winner of the Sports Writer of the Year. SJA members hold a separate poll to decide Sports Broadcaster and Sports Programme of the Year – with the result a repeat of the previous year. Sky Sports’ Jeff Stelling won the Broadcaster section for the third year running, while Radio 5 Live’s SportsWeek was top programme. Chris Smith, formerly with the Sunday Times and a past winner of the Sports Photographer of the Year, received the Doug Gardner Trophy for services to sports journalism.